Wiltshire Council is a UK unitary authority providing the full range of local authority services to a population of 435,000 citizens. In common with all UK local authorities, Wiltshire is facing budget reductions and must find ways to deliver operational efficiency improvements and financial savings, whilst continuing to deliver excellent service to citizens. To that end, Wiltshire Council explored offering a mobile app which citizens could use to report issues to the Council, as part of its ongoing channel shift and transformation programme. Wiltshire Council wanted to enable citizens to report highways issues to the council through either a self-service smartphone app or website. The Council wanted to improve the service experience of its citizens by enabling them to report highways issues quickly and simply without having to phone, email or visit in person. Once a citizen had reported an issue they would then get automated feedback and updates on the status of the issue via the native mobile app or browser-based platform. Although the project began in the highways department, Wiltshire Council wanted to provide a single technology platform which could potentially be accessible to all service areas within the Council and which would allow service areas to be easily added as required. The chosen application needed to enable full integration with the Council’s other business systems wherever possible, in order to drive efficiencies in Wiltshire’s business processes. Wiltshire also wanted to be able to use the same platform to automatically allocate the fixing of issues raised to the appropriate staff, even if they were working remotely. Wiltshire Council reviewed a number of potential providers. Abavus’s My Council Services (MCS) system stood out from the competition because it offered a hosted platform that would be quick to implement and addressed all the key drivers of the project. Wiltshire Council launched its trial of the My Council Services suite of mobile applications in February 2013. The initial trial covered six service categories: fly-tipping, dead animals, syringes, playgrounds, public toilets and graffiti. The launch was low key and not heavily publicised in order to let Wiltshire see the approach working in a live operational environment whilst keeping risk to a minimum. Citizen use of the new platform developed organically through word of mouth. Early data on MCS usage was positive and so the platform was opened up to a much wider set of reports from over 20 different service categories and work began on integrating MCS with other business systems. The Abavus team and Wiltshire developers worked together to enable dynamic data integration between MCS and two other systems – Exor (the Highways’ CRM system) and Mayrise (the street-lighting system). This integration went live in mid-September 2013. Work began on further integrating MCS data with back office systems, providing more automated feedback to citizens and adding 13 new report types covering areas such as potholes, bus shelters, footpaths and kerbs, fly tipping, street litter and salt bins. 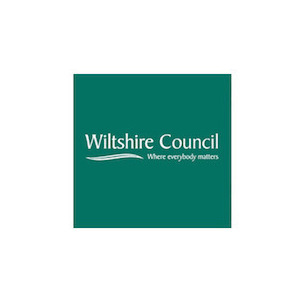 Self-service capabilities were enabled across the synchronised suite of smartphone native applications (iOS, Android, Blackberry) and as browser-based web forms via a customer portal on www.wiltshire.gov.uk. Wiltshire wanted the data from the MCS system to integrate with its existing back office systems, so that changes in status of a service request, for example from ‘open’ to ‘in progress’ to ‘resolved and closed’, would be reflected in the back office system as well as in MCS. To enable this integration, Wiltshire developed its own in-house software bridge to link MCS with Mayrise and Exor. This allows automated updates to flow between the different systems and provides a full audit trail of each issue raised from customer submission through to closure, along with feedback on progress to the citizen. The platform is scalable so other line of business applications can be added as required. The Highways Team can now automatically allocate jobs to internal officers as well as to operatives out in the community, both council employees and third party contractors. The integration with Mayrise supports the street lighting service category and is managed by the consultant Atkins. Exor, the Highways’ CRM system, also integrates further into a contractor’s line of business system (namely Balfour Beatty Living Places). Almost all the configuration work was done in-house, meaning that Wiltshire avoided an ‘implementation heavy’ enterprise CRM application. As the project progressed it moved beyond just the Highways Team into other service areas including car parks, traffics lights, pedestrian crossings and trees. This presented Wiltshire with an opportunity to pilot the MCS Contact Centre module (a CRM system) with a view to replacing elements of its existing CRM product. The programme team at Wiltshire worked closely with the MCS implementation team at Abavus in order to ensure that operational business processes were correctly documented. Such processes are complex and reflecting them accurately in the technology is crucial to success. The primary goal of Phase One of the project was to deliver a closed loop system in which all the relevant data about the outcome of the service request is fed back to the person who first raised the request. This was achieved, enabling Wiltshire to move on to Phase Two. Enabling more complex self-service transactions such as automating the process of applying for a student bus pass, establishing an applicant’s eligibility and taking their payment. Further implementation of the MCS Mobile Worker module to allow service requests to be allocated and distributed directly to remote and mobile workers so that they can work more effectively and productively. The increased use of MCS Contact Centre module to enable more advanced back office processes such as the ability to assign a service request to another person in a different team and enabling that person to then take responsibility for the resolution of the service request. The launch of MCS’s social media incident reporting tool which enables Wiltshire to respond to issues raised by citizens on social media through an integrated service request process. Introduction of a case management system which has helped Wiltshire staff keep track of complex service requests involving multiple people and steps. Using the Case Management system keeps all the notes about a case accessible in one place to everyone who needs it. Wiltshire Council’s use of My Council Services has developed in line with its initial plans and expectations. Key milestones have been reached and targets exceeded. The investment has been managed in phases with further money only released once previously agreed outcomes were met. As usage of My Council Services has grown so the scope of the project has expanded in line with Wiltshire’s developing business needs. New areas continue to emerge where Wiltshire Council and Abavus will collaborate to deliver the ongoing transformation programme. When a job arrives via MCS co-ordinates are mapped automatically in order to deliver it intelligently to the correct local depot…An interesting challenge has been the variety of business process that exists in the council. My Council Services provides a range of case management approaches and this flexibility has been vital in the success of the project. Wherever a technical issue has been encountered it has always been resolved quickly and with minimum fuss. 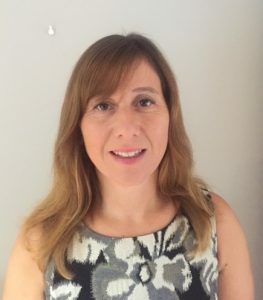 Working with Abavus and My Council Services has been a very positive experience, the technology is excellent as is the responsiveness and flexibility of the technical and operational support teams… It has been an enjoyable programme of work to be responsible for. Between 600 and 1,000 transactions per week have moved from traditional channels and are now completed via the self-service web and mobile forms, and each self-service transaction represents a measurable resource saving. Enabling more complex service requests and integrating MCS modules into back office systems has resulted in a significant increase in productivity. More service requests are automated now so customer service agents can deal with incoming calls more quickly and handle greater call volumes, resulting in a significant reduction in the call abandonment rate. Previously information about service requests had to be entered manually into at least two different systems. Now the data only has to be entered once and can be shared automatically across systems, reducing the chance of error and saving a substantial amount of time. Integration between MCS and legacy systems has led to a reduction in the licence costs of line of business CRM systems. Customer service requests are dealt with more quickly and simply and customers are kept informed throughout, resulting in significant cost savings and an improved service experience for the customers, whichever channel they choose to use. The Council has much more information about the issues customers raise because the app and web forms allow more accurate data such as photos and exact grid references to be captured and stored.